For The Mortal Instruments book fans and those who loved the movie City of Bones, there is good news. The DVD The Mortal Instruments: City of Bones is set to be released on Dec 3 of this year. And you can buy the DVD and enjoy this movie whenever you want. Now let’s talk about this movie first and then I’ll show you the fastest and most effective way to rip DVD The Mortal Instruments: City of Bones and convert The Mortal Instruments: City of Bones to tablet. Then you can protect it from repeated damages and share it with your friends. Actually, negative critics towards City of Bones seem never to ends. It’s even rated 14% fresh by 114 critics on rotten tomatoes. But as for me, it’s not so bad. Yes, you may complain about the lack of originality. But you can’t expect a complete replica of the book. What’s more, a book and a movie are two different mediums that some changes are necessary to catch the audiences. Actually, this movie captured the feel of the book. 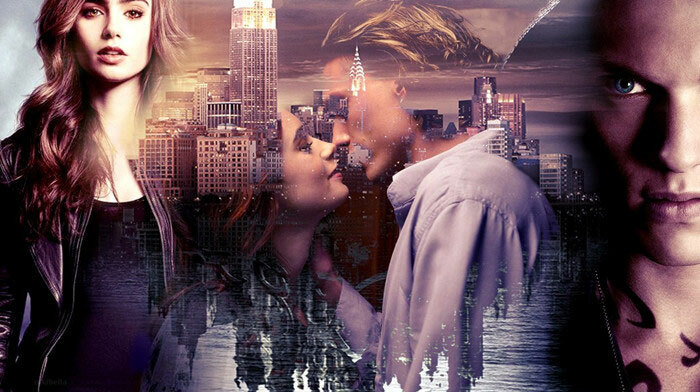 And both Lily Collins and Jamie Campbell Bower did great work. 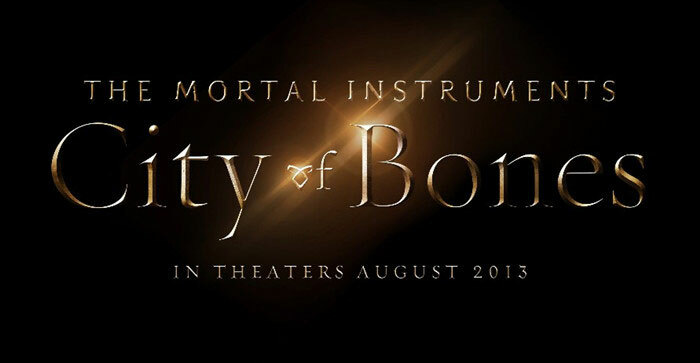 It is a 2013 adventure fantasy film based on the first book of The Mortal Instruments written by Cassandra Clare. She first made a name for herself as a fan fiction writer. The Draco Trilogy based on Harry Potter and The Very Secret Diaries based on The Lord of the Rings were popular. So you can clearly feel that Hodge Starkweather in the film City of Bones is similar to Dumbledore in Harry Potter in many ways. Set in contemporary New York City, a seemingly ordinary teenager, Clary Fray (Lily Collins), discovers she is the descendant of a line of Shadowhunters, a secret cadre of young half-angel warriors locked in an ancient battle to protect our world from demons. After the disappearance of her mother (Lena Headey), Clary must join forces with a group of Shadowhunters, who introduce her to a dangerous alternate New York called Downworld, filled with demons, warlocks, vampires, werewolves and other deadly creatures. If you are fond of collecting DVDs, the following information could be very useful. I’ll tell you the most effective and fastest way to rip DVD The Mortal Instruments: City of Bones or any other latest DVDs to be release soon like Gravity, We’re The Millers, The Wolverine, Despicable Me 2, Elysium, Cloudy with a Chance of Meatballs 2, etc. And I’d like to share you with a smart DVD tools to easily copy DVD The Mortal Instruments: City of Bones within 3 steps. To copy or backup DVD The Mortal Instruments: City of Bones, you should first download the tool and install it. Step 1: Open WonderFox DVD Video Converter and insert the DVD disc into the PC ROM. And then click “Load DVD”. Note: You are also supported to choose which part of the DVD movie should be copied. Step 2: Open the output dropdown list and then choose an ideal output format or output device. 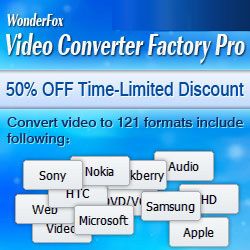 Note: WonderFox DVD Video Converter supports 100 + video formats and portable devices like AVI, MP4, MKV, MOV, HD AVI, 3GP, FLV, iPhone 5S, iPhone 5C, iPad mini, Samsung GALAXY S4, Samsung GALAXY Note 3, BlackBerry, Nokia, PS3, PSP and more. Step 3: Click “Run” to start to copy DVD The Mortal Instruments: City of Bones. See? It’s very simple to rip DVD The Mortal Instruments: City of Bones and any other commercial DVDs you bought. 1. Extract audio from DVD with high quality. 2. Download YouTube video, Facebook video, Vimeo HD video to PC or any pop devices. 3. Convert video to virtually any video format including SD to HD. 4. Video editing like trimming, cropping, adding special effects. 5. Capture pictures from a video and merge videos with one click.